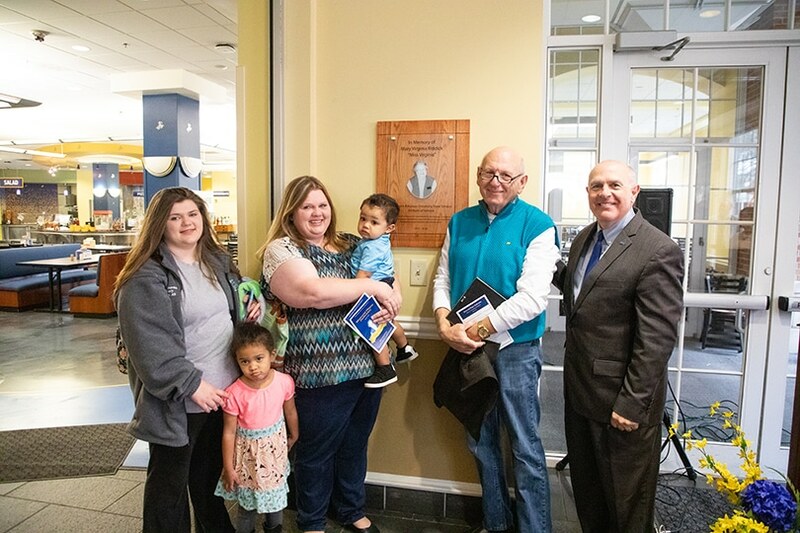 The family of the late Mary Virginia Riddick attends the plaque dedication ceremony at the SAU Cafeteria in the Reynolds Center. Dr. Trey Berry, right, president of SAU, made the presentation. Pictured from left to right, are Miss Virginia’s great-granddaughter, Heather Mykel; her granddaughter, Brandi Barge, and son, Larry Riddick. Also pictured are Miss Virginia’s great-great-grandchildren. 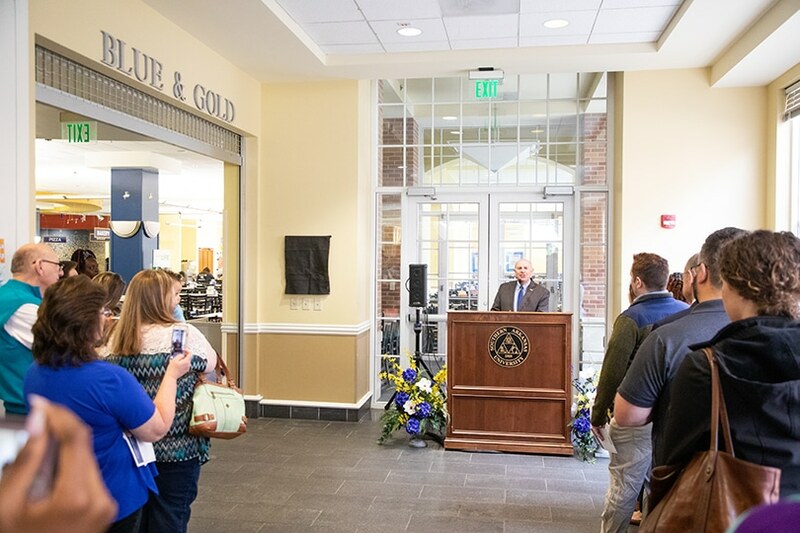 Roger Giles, vice president for administration and general counsel, said he had known Miss Virginia for more than 30 years. “She was an amazing individual,” he said, praising her warmth, sensitivity, and genuine caring for students. “And she made the best chicken salad sandwiches,” he recalled.